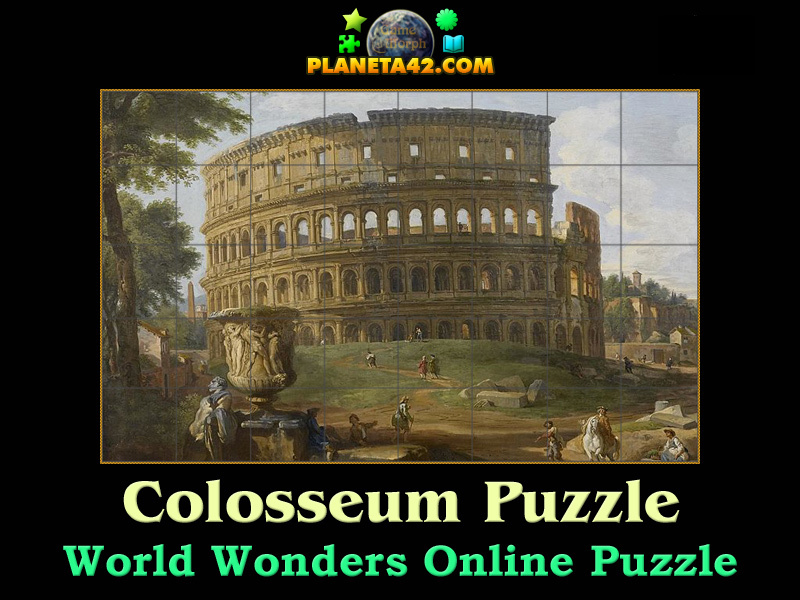 Colosseum of Rome world wonder in a fun online history puzzle. "Colosseum of Rome Puzzle" is a fun square rotating puzzle to sort 40 squares puzzle of the Colosseum of Rome wonder of the world. Fun online history puzzles for desktop computers, laptops and tablets, which may be played in the web browser. Wonders of the world game. How to play Colosseum of Rome Puzzle. This is a common square rotating puzzle. 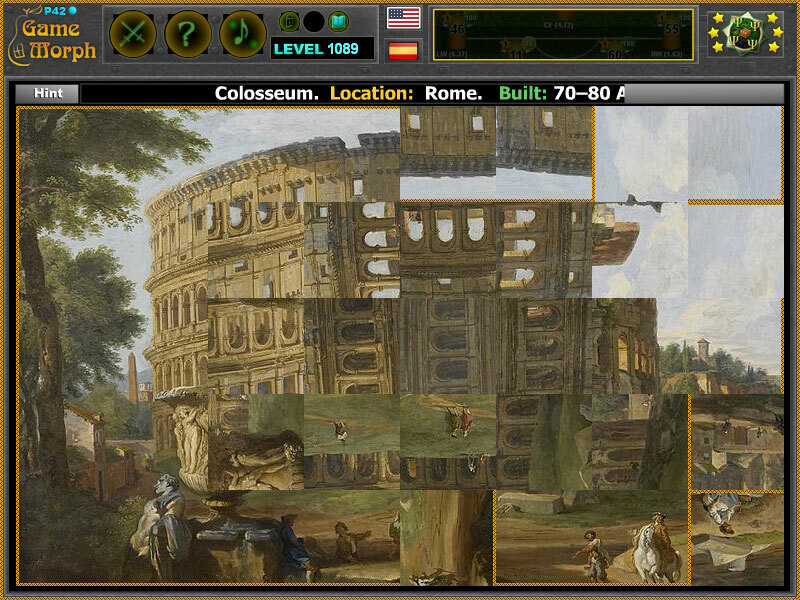 Click on the puzzle pieces to rotate them, while they fit the original picture of the Colosseum of Rome. Use the "hint" button to see which pieces left. Class subject: The Colosseum of Rome. From Wikipedia: The Colosseum or Coliseum, also known as the Flavian Amphitheatre is an oval amphitheatre in the centre of the city of Rome, Italy. Built of travertine, tuff, and brick-faced concrete, it is the largest amphitheatre ever built. The Colosseum is situated just east of the Roman Forum. Construction began under the emperor Vespasian in AD 72 and was completed in AD 80 under his successor and heir Titus.